Dr. Jayaprakash Narayan is a physician by training who went into the Indian Administrative Service in the aftermath of the Emergency and failure of the Janata Experiment. He was a topper in the IAS exam. 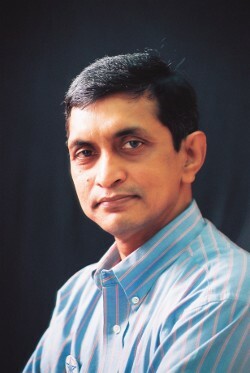 During the 16 years of distinguished public service in various capacities, he acquired a formidable reputation in the erstwhile State of Andhra Pradesh. As Joint Collector, he created full and permanent employment for 8000 youth from displaced families of Visakhapatnam Steel Plant. As Collector of East Godavari District, he spearheaded the reconstruction of drainage and irrigation network in Krishna and Godavari deltas. He served as Secretary to both Governor and Chief Minister of Andhra Pradesh. He worked on strengthening of the credit cooperatives and making them independent of government control. In spite of an impressive personal achievement, Dr Narayan's experience in government convinced him that faulty governance process was the biggest hurdle to India and Indians achieving greater success. And what India needs today is a fundamental change in the rules of the game and not a periodic change of players. In order to translate his vision into practical reality, he resigned from Service (IAS) in 1996, and worked with like-minded colleagues for the formation of Lok Satta. Lok Satta has now emerged as India is leading civil society initiative for governance reforms. Significant improvements in voter registration (1999 – till date). Disclosure of candidate details, and the disclosure law (2003). Political funding reform law of 2003 in the wake of Tehelka expose. Strengthening the anti-defection provisions (X Schedule changes, 2003). Limiting the size of Council of Ministers (91st Amendment, 2003). Right to Information Act, 2005. National Rural Health Mission (2005). Cancellation of 122 licences of 2-G spectrum by Supreme Court, and revision of policy to ensure allocation of all natural resources through competitive bidding (2012). 97th Amendment to the Constitution guaranteeing autonomy to cooperatives (2012). 121st Amendment creating National Judicial Appointments Commission (2015). Awarded the "Yudhvir Memorial Award 2002" for his outstanding contribution to the cause of good governance. Awarded the "Dr.Rustam D.Ranji Rotary Award" by Rotary Club of India in 2003. Awarded the "D. Ch.Tirupathi Raju Memorial Award 2004". Honored with prestigious "Dr.Pinnamaneni Sita Devi Foundation Award". Honored with the "Bharat Asmita Jana Jagran Shreshta" - in the area of Public Awakening. Felicitated by the Hyderabad Software Exporters Association, Hyderabad in recognition for his contribution to the growth of IT industry. The National Advisory Council (NAC) 2004 - 2006. Vigilance Advisory Council constituted by the Central Vigilance Commission, 2004 - 2008. Second Administrative Reforms Commission constituted by the Government of India from 2005 - 2007. Dr Narayan, through Foundation for Democratic Reforms, Lok Satta movement and other fora has been actively pursuing reforms in service guarantees in government offices, education, healthcare, local government empowerment, judicial and police reforms, various anti-corruption measures, and political reforms to transform governance, particularly at state and local levels.